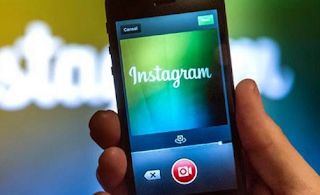 All social media platforms have evolved – and now Instagram have confirmed that it is changing the way you'll see photos and videos of your friends in the stream. Chronological sorting is going to make way in favor of a new algorithm driven stream where images will be sorted based on "the likelihood that you'll be interested in the content, your relationship with the person posting and the timeliness of the post." Basically, Instagram has grown so fast, and users have really long lists – resulting in folks missing out on an average of 70% of their feed! So Instagram wants to fix this, narrow it down a bit to the individual's 'tastes'. Posts will still be date stamped, but content will be streamed to you based on your preferences. Some are seeing this as a way to create perfect opportunities for targeted advertising – and there's nothing wrong with that (other than with those who have serious privacy issues). How this will work with brands, influencer posts are yet to be seen. Obviously, brands will have a hard time figuring out how the new algorithm works, and how they are supposed to optimize their content to get on top of the stream. At the end of the day, it is a shift towards real 'discovery' and 'interest' and that actually promises a better experience. This change only causes your current followers to see less or more of your posts, depending on how often they "like" your images. This is yet another push by a social platform towards algorithm driven content publishing. We just need to get used to that.